As April wraps up and May approaches, we approach field trip season. Whether you are traveling with a class or making memories with your own children, field trips provide a wonderful opportunity for writing narrative texts. Strong readers and writers should be able to "write narratives to develop real or imagined experiences or events using effective techniques, well-chosen details, and well structured event sequences" (CCSS W.3). The language experience approach is a great way to introduce narrative text writing to kindergarten and first grade students. Students experience an event and then record details of the event. 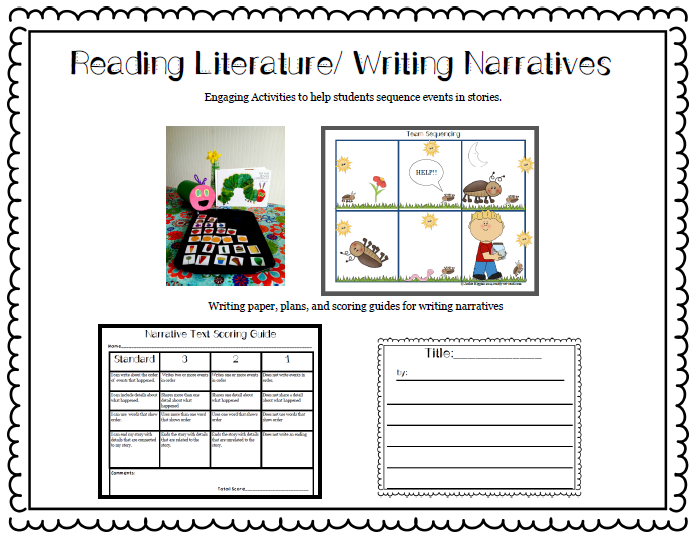 Children can then transfer that knowledge to their reading as they look for examples of narrative texts. We've applied this to our study of Eric Carle books. We love to visit The Butterfly House in St. Louis or the Insectarium at the St. Louis Zoo. I prefer the butterflies to the creepy crawlies. Some kids, of course, would rather experience piles of cochroaches. Gross! After a recent visit, we recorded our experiences in our journals. We drew pictures of our favorite butterflies and insects. Through interactive writing, we recorded the events that happened on our outing. I wrote a lot of the text and they contributed the parts they knew. We talked about words that show order (first, then, next, last). After writing about our experiences, we began to explore imaginary narrative texts. We connected to our learning about insects and butterflies as we read Eric Carle's books "The Very Clumsy Click Beetle", "The Very Lonely Firefly" and "The Very Hungry Caterpillar". Recalling Details in Text from "The Very Hungry Caterpillar"
Our first book activity was very engaging for the boys. After exploring real butterflies, we looked at the life cycle of a butterfly in the narrative text, "The Very Hungry Caterpillar". 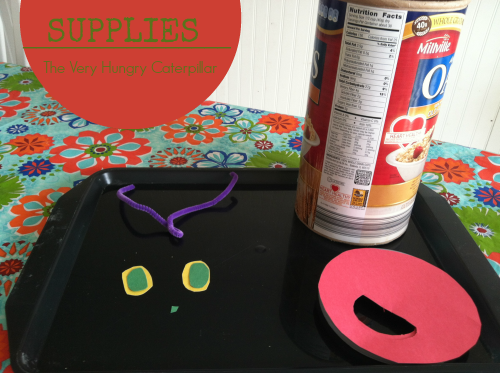 We read the book and created a caterpillar out of an oatmeal box and retold the story. Cover the container with green construction paper. Trace the plastic lid circle onto red construction paper. Cut. Cut a large mouth hole from the plastic lid. Trace onto the red construction paper and cut out. Glue on the face, lining up the openings. 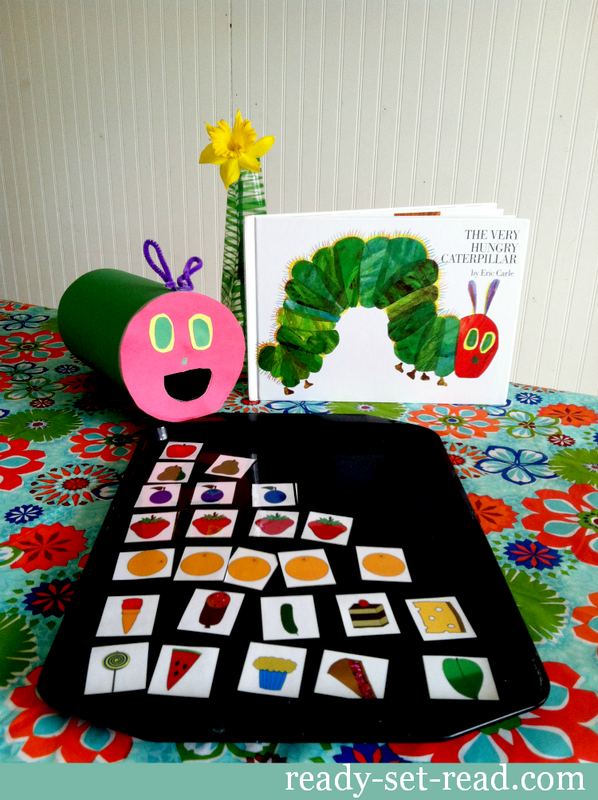 Then I provided them with printable copies of the fruits and foods that The Very Hungry Caterpillar ate. They "fed" the printable paper food to the caterpillar by putting the cards into his mouth. We talked about story order and used story order words. (You can find all of the food cards in my insects unit or draw your own based on the book). We began talking about the order of events by talking about stories that have a strong beginning, middle, and end. We read The Very Lonely Firefly and drew sketches of what happened at the beginning, middle, and end of the story. This is an interesting book because it begins at night. It's fun to contrast this with The Very Hungry Caterpillar book and talk about how it begins on a Sunday morning. Students can discover that the time of day is the setting and doesn't necessarily impact the order of the story. For classroom purposes, you might want to display these sketches in the classroom with labels. You could also have students draw and write the beginning, middle, and end on a graphic organizer. 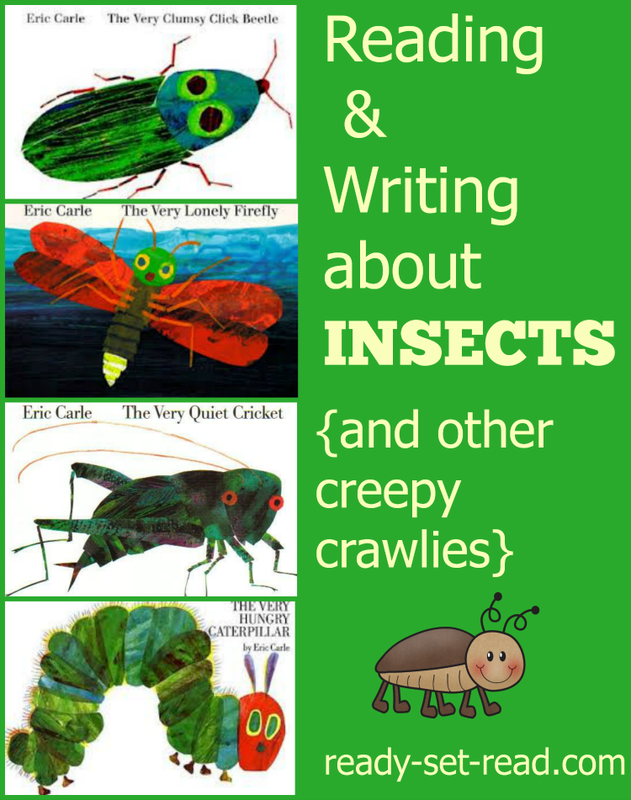 These printables are included in my Reading and Writing about Insects Unit. 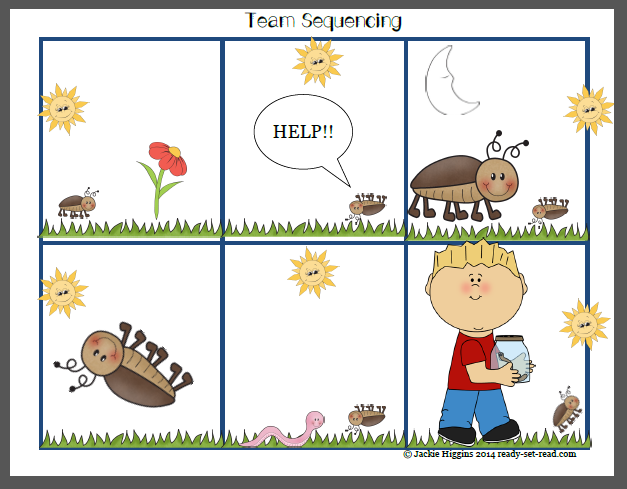 Determining the Order of Events with "The Very Clumsy Click Beetle"
One of my favorite classroom activities for teaching order of events is team sequencing. This activity helps all readers talk about their thinking. It is fantastic for struggling readers as there is scaffolding provided by working in a team, but each student is "forced" to particpate. Here are the rules for team sequencing. Each child gets one card. Each child may only touch his or her own card. The team must get all of the cards in the correct order. Team members should use verbal cues and work together to get the story in the right order. 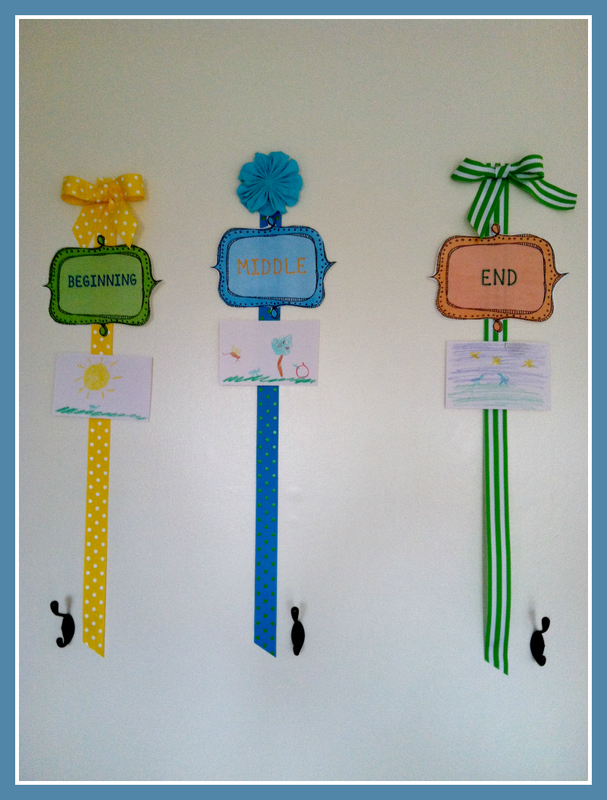 You can use this with any story by creating picture cards to retell the story. 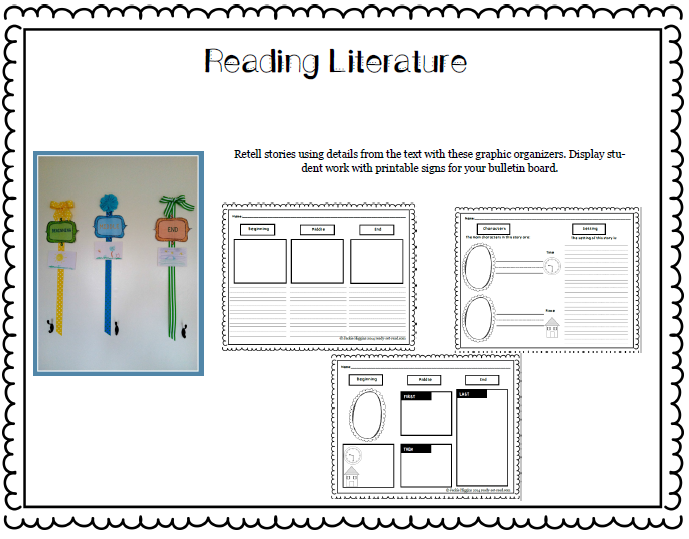 I've created a set for The Very Clumsy Click Beetle in my Reading and Writing about Insects Unit. 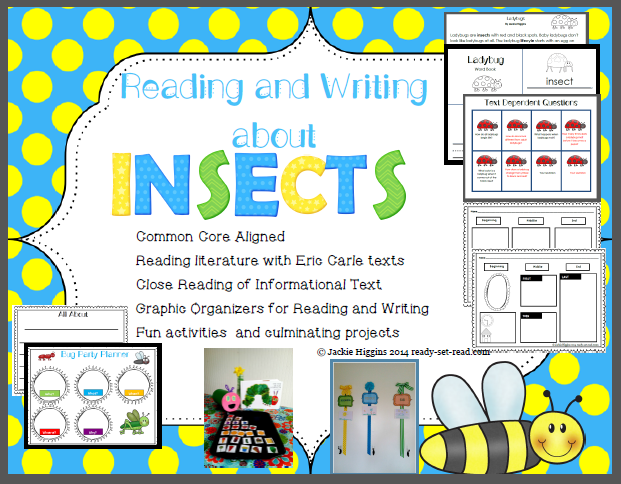 You can find more activities including scoring guides and more graphic organizers in my complete unit Reading and Writing about Insects which you can purchase in my store. How have you used the language experience approach to teach writing? How do you connect your writing to reading? I'd love to see your ideas-- share in the comments. I'll pin and share links to posts as well.